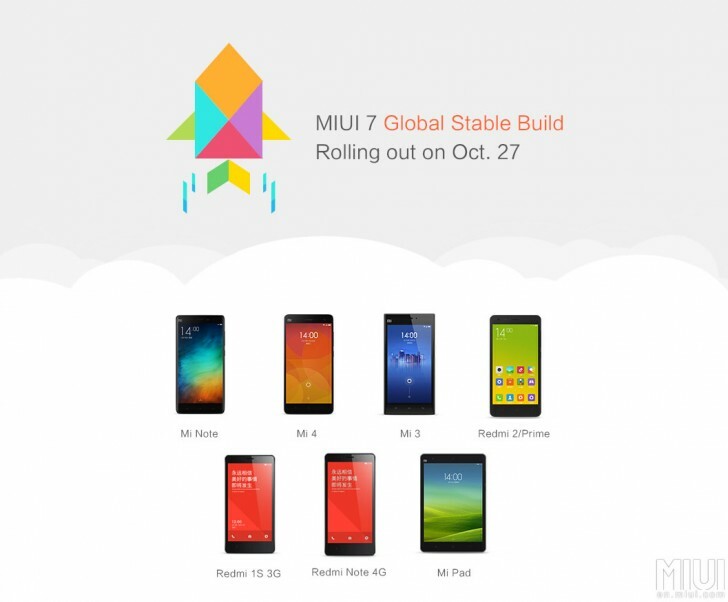 Xiaomi has released the global stable MIUI 7 ROMs for bunch of devices, including Mi 3, Mi 4, Mi Note, Redmi 1S, Redmi 2/Prime, Redmi Note, and Mi Pad. The ROMs are currently available to flash manually from MIUI Official Forum, with instructions on how to go about doing that. If you are not comfortable with flashing, you can wait for a few days before the update starts rolling out as OTA update. MIUI 7 comes with several improvements, including improved UI speed (up to 30%), up to 10% battery life, 5 new official themes, new Huge font size, dedicated folders in image gallery for babies and pets, child mode, and some India-specific features, such as Showtime, which plays a personalized photo or video when you call someone with a compatible device, daily changing lockscreen wallpapers, smart SMS grouping, and smart OTP SMS handling. You can find the download links in the link below.